The privatization of water is a keenly contested issue in an economically-liberalizing India. 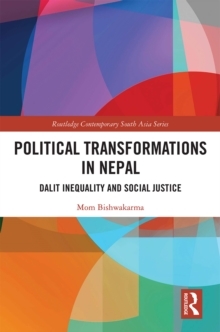 Since the 1990s, large social groups across India's diverse and disparate peoples have been re-negotiating their cultural relationships with each other as to whether they support or oppose pro-privatization water policy reforms. These claims and counter claims are seen as an impending war over water resources, one that includes many different players with many different agendas located across a wide variety of sites whose actions and interactions shape policy production in India. 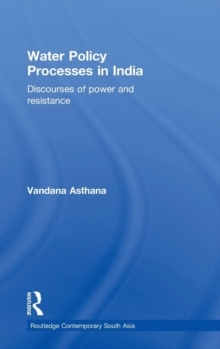 This book is the first to assess the dynamics of water policy processes in India. 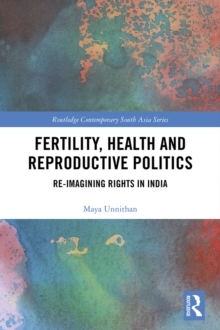 Using the case study of Delhi's water situation, this book analyses emergent dynamics of policy process in India in general and, more specifically, in the post-economic reform era. Taking as its starting point a critique of linear version of policy making, the author explains both how and why particular types of knowledge, practices and values get established in policy as well as the complex interplay of knowledge, power and agency in water policy processes. Water Policy Processes in India covers a critical gap in the literature by analyzing how governments in practice make policies that greatly affect the welfare of their people; the process through which policies are developed and implemented; investigating the aims and motives behind policies; and identifying the potential areas of intervention in order to improve the policy process in both its development and implementation stages.